Many people have never heard of temporomandibular joint disorders, also called TMJ, and have little concept of how TMJ could impact a person’s life until they or someone they know is diagnosed with a temporomandibular joint disorder. TMJ is a blanket term for conditions impacting the temporomandibular joint, which is located where the cheek bone connects with the jaw bone. TMJ and TMD (temporomandibular joint disorders) can occur due to improper development in childhood or adolescence, or may occur as a result of trauma to the face or neck’s bones, joints, or soft tissues. It can also be brought on by jaw-clenching and teeth-grinding behaviors, which may be unconscious reactions during sleep or a conscious behavior during waking hours as a response to stress. Pain in this area when using the jaw, clicking, or even top and bottom teeth that are not lining up for functional chewing can all be symptoms of TMJ. Others may experience severe headaches, which may rival migraines for pain intensity and duration. Many with TMJ have difficulty or pain when attempting to fully open their mouths, whether to communicate or eat. TMJ is also associated with the painful experience of lock-jaw, which is where an individual is unable to open or close one’s mouth due to issues with their temporomandibular joint. Some will also experience swelling of the area around the joint, neck aches, earaches, dizziness, and even ringing in their ears as a result of TMJ/TMD. How Do I Get Checked for TMJ? Most people receive their initial screening for TMJ from their dentist. Because many of the symptoms overlap with other conditions, it is very hard (and not recommended) for individuals to attempt to self-diagnose this condition. If you are experiencing any of the symptoms associated with TMJ, you should discuss them with your dentist, who can then manually inspect your temporomandibular joint, your facial muscles, and your bite patterns. That process may include full face X-rays or ordering an MRI or CT scan of your face and cranium. If your dentist does rule out other causes of symptoms and believes you are suffering from TMJ, he or she should, at that point, refer you to an oral and maxillofacial surgeon for additional testing and treatment. How Can TMJ Pain Be Reduced? One of the quickest ways to temporarily reduce pain and symptoms from TMJ is to take an over-the-counter medication for pain and swelling, such as ibuprofen or naproxen. Depending on your sensitivities to temperature, you may find icing the joint area for ten minutes, followed by five minutes of a warm, but not hot, compress, will also provide temporary, low-grade relief from the pain associated with TMJ. Of course, pain relief from medicine like this is only a temporary measure, as the root cause of the pain is still there. In order to correct the issue permanently, those with TMJ will likely need surgery, physical therapy, or both. In the meantime, you can do several other things to reduce the level and frequency of TMJ-related pain and symptoms. Switch your diet to soft foods and liquids, and cut solid or harder foods into very small bites. This takes a lot of performance pressure off of your temporomandibular joint. Avoid resting your chin on your hand or arm. Make a conscious effort to avoid jaw clenching and teeth-grinding behaviors, as these can worsen the symptoms. 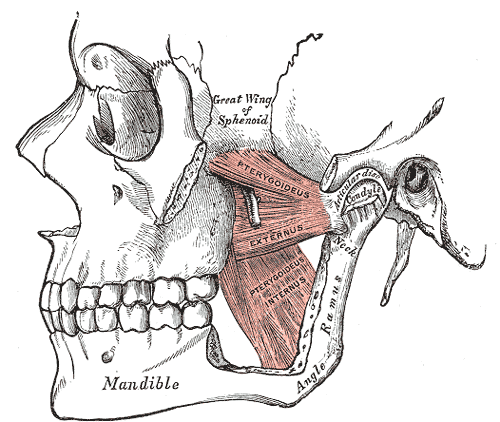 You may also try giving yourself mini-massages around the temporomandibular joint. How Can a TMJ Specialist Help? In addition to tests that allow them to give you a positive diagnosis, TMJ specialists, both medical and dental, can offer treatments and options not available in the store. 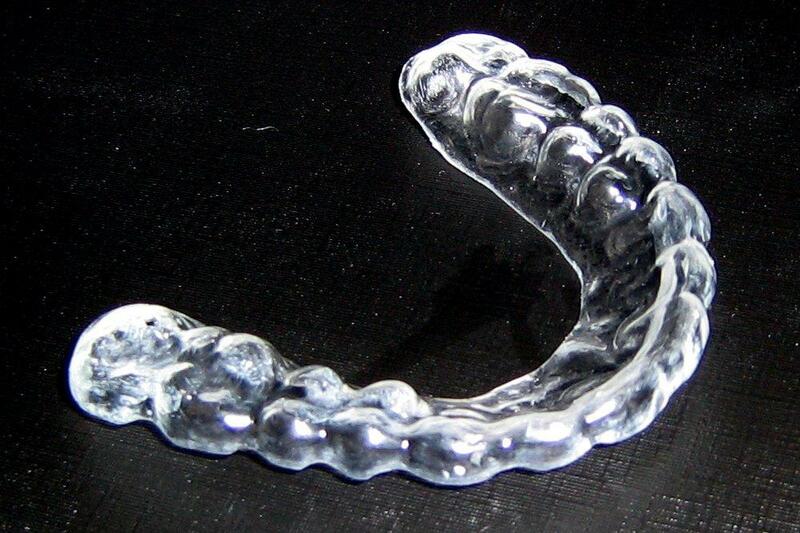 A custom bite splint, for example, could be provided by your doctor to reduce the impact of daily jaw clenching and teeth grinding, while a night guard can help prevent additional damage from nighttime jaw clenching and teeth grinding. Your dentist will also be able to provide bridges, crowns, or even veneers that improve your bite and reduce symptoms associated with an uneven bite. 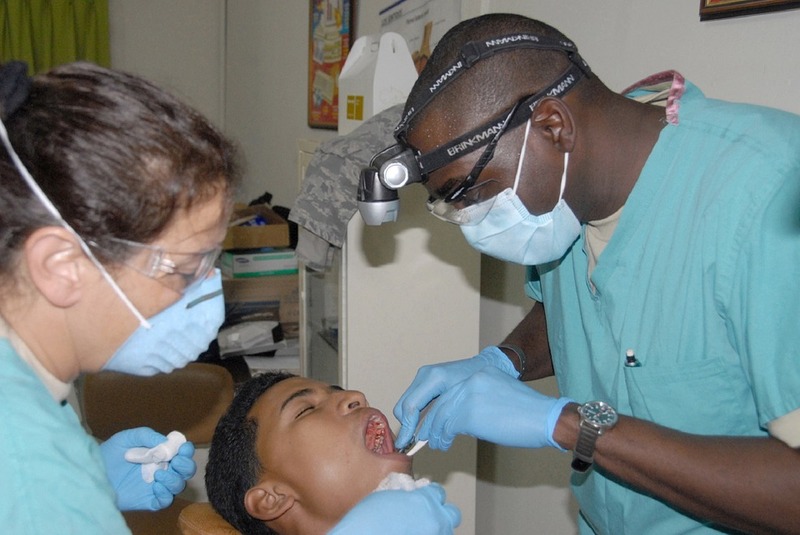 They can either schedule and perform a corrective surgery, or refer you to someone who can. What Are Other Non-Surgical Options? While many cases of TMJ require facial surgery to be completely resolved, some who suffer from TMJ may experience real relief from non-surgical alternatives, such as trigger-point injections. Trigger-point injections are deep injections of pain relievers or anesthesia into sore facial/jaw tissues. Others report success in symptom reduction from ultrasound therapy, Transcutaneous Electrical Nerve Stimulation (TENS), low-level laser therapy, or radio wave therapy. TMJ symptoms can severely limit your quality of life. Proper care, including inspection and possibly treatment, from your dental staff, should be your first line of defense and symptom-reduction offense. If you’re concerned you may be facing symptoms similar to those present in TMJ, it’s important to speak with a dental professional as soon as possible in order to begin treatment and invite relief back into your life. Contact Avila Dental today to make an appointment for a TMJ consultation.